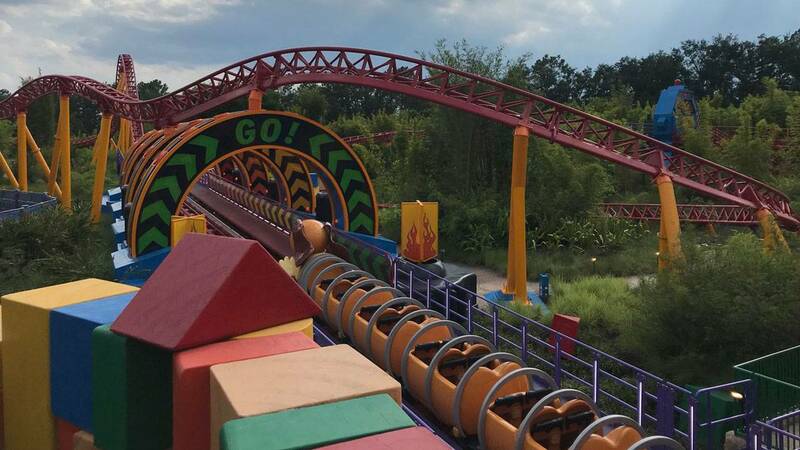 Some rides at Disney's Hollywood Studios, including the Slinky Dog coaster, were down Thursday, July 12, 2018 after a problem with the cooling system. ORLANDO, Fla. - Problems with a cooling system at Disney's Hollywood Studios forced theme park officials to close some rides Thursday evening. A Walt Disney World spokesperson said the park would remain open as officials worked to restore the rides. A screenshot of the Disney app taken shortly before 4:30 p.m. showed that several rides were having problems, including the Slinky Dog Dash in the recently opened Toy Story Land. It was unclear when the outage would be remedied.